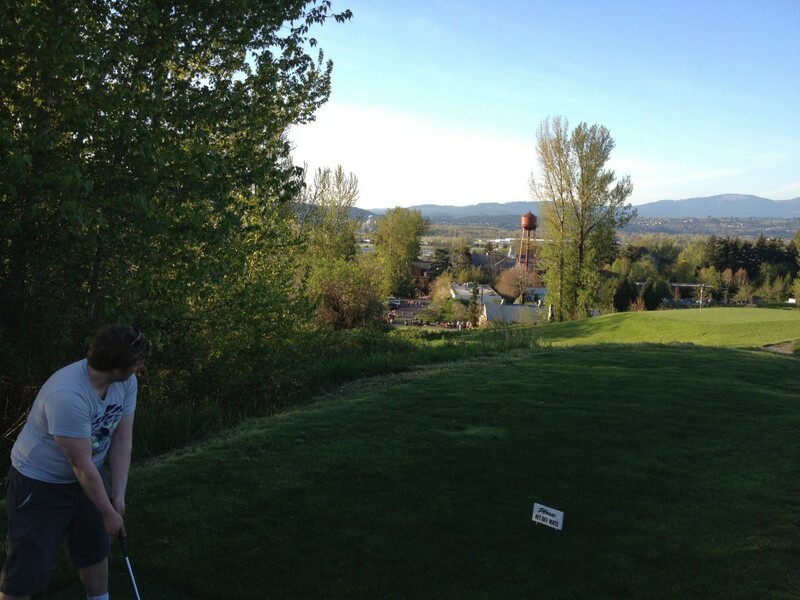 My series on awesome places to play mini golf continues with a round on the Pub Course at McMenamins Edgefield. This is the closest you can get to playing “real golf” with out actually playing it. 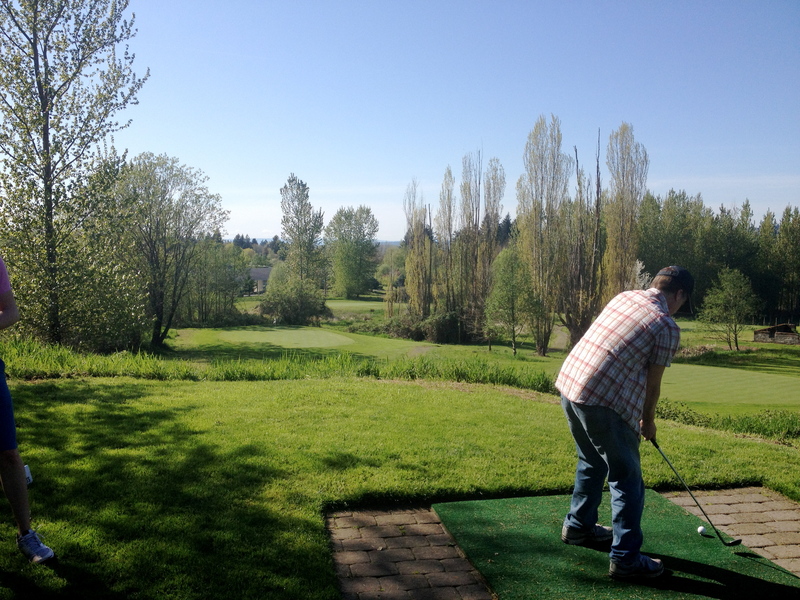 This is a beautiful course on the grounds of the fantastic property in Troutdale. 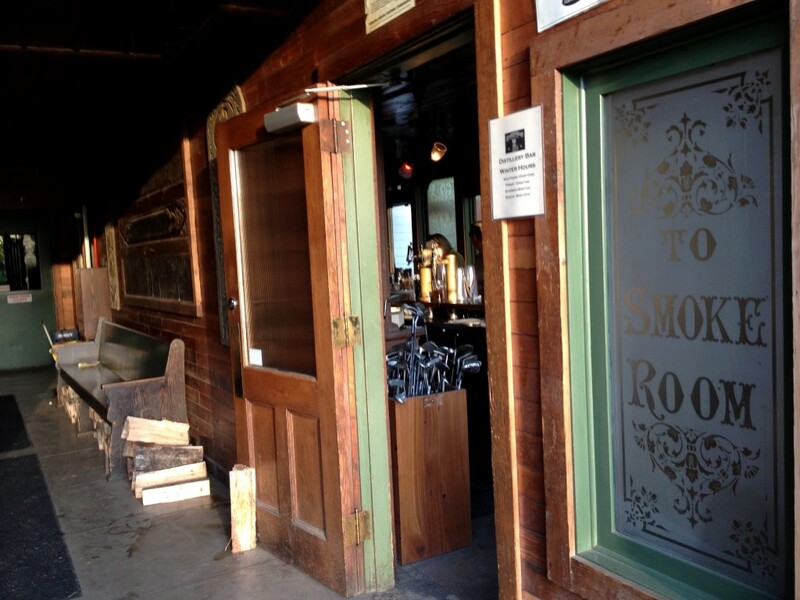 I could do an entire post just on all the OTHER fun stuff to do at Edgefield but I’ll focus on the golf for this one. These photos were taken over a year ago at my best bud, Gloria’s birthday party. I’m assuming it looks the same. There are two par-3 courses, the East course has 12 holes ($12) , and the West course has 20 ($18). Unless you’re a hard-core golfer, I recommend doing the shorter East course, because it’s much closer to the bars. 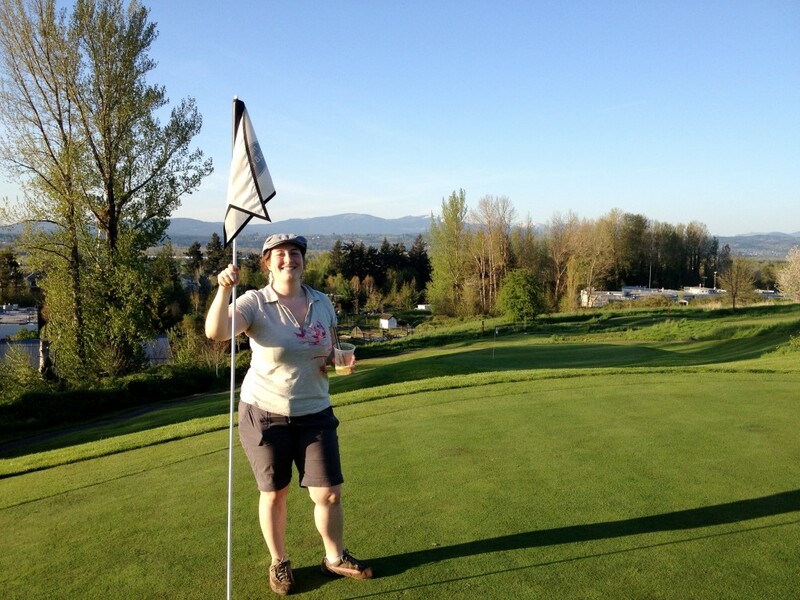 We did the West course last time and our beer run took more than 30 minutes in the middle of the game. But… I hear that during the warm months they have a beverage cart circling, so you don’t have to run back to the clubhouse. I need to go play again so I can witness this for myself. Since a lot of people who play this course have no idea what they’re doing, they offer all the equipment and balls you need, but you have to pay for it. So by the time you add the green fee, plus club rental, a few balls and a few beers…. it can really add up, so if you can, bring your own stuff. I love playing here because it’s just a LITTLE tougher than mini golf and you get to use two clubs: a wedge and a putter. 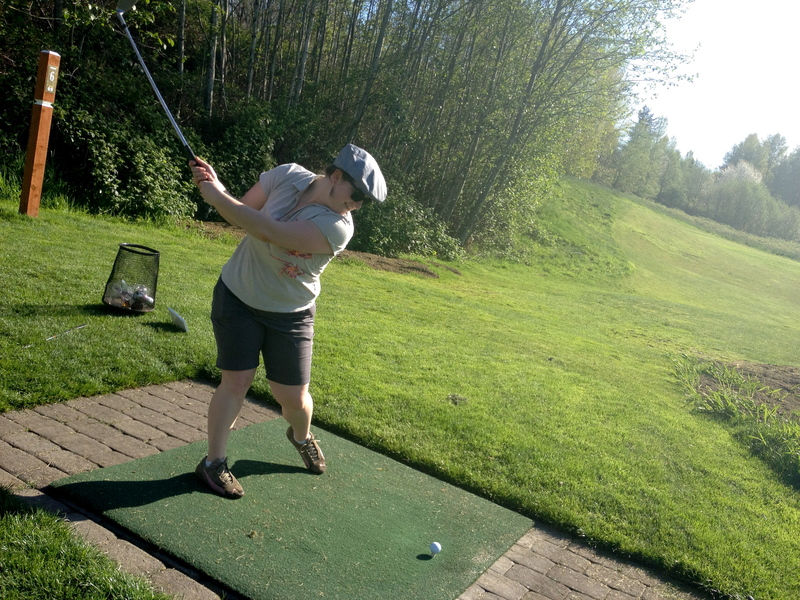 I’m terrible at using the wedge and at teeing off, so it’s a pretty hilarious to watch. There are a lot of swings that miss and that’s before the beer. But it’s fun and after a few holes my game improves. Another great thing about this course, is that it operates year round. Even in the winter, you can consider hitting the Pub Course on a nice sunny day (or a rainy one, if you’re into that sort of thing). 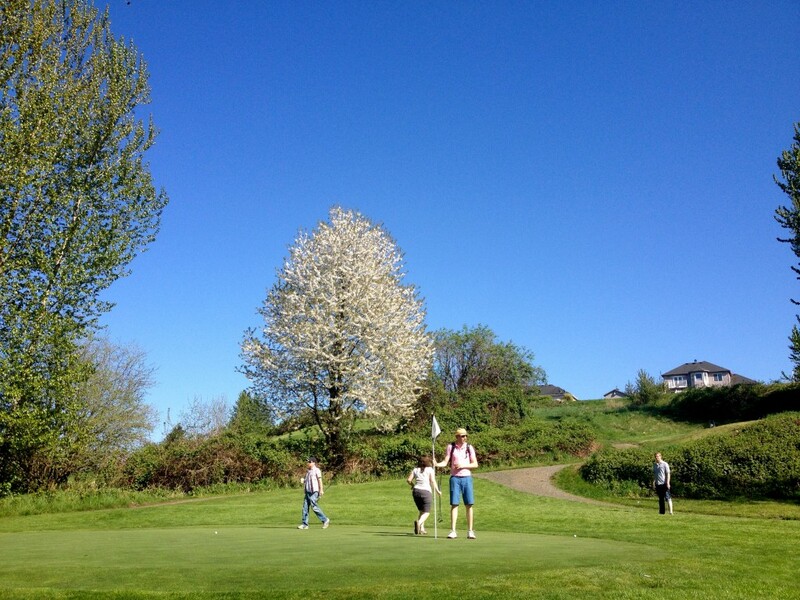 But whether you go in the summer or winter, call ahead and schedule a tee time. They can fill up fast on nice days. Happy pitch-n-putting!